Later this month, the game formerly known as The Secret World will return to us as Secret World Legends. We met with Romain Amiel, Game Director for Secret World Legends, to discuss what’s changed as we head toward the game’s fully F2P premiere. Romain anticipated our first question and discussed the decision to rebrand and relaunch in detail. The biggest mistake Funcom made with The Secret World, according to Romain, was paradoxically the game’s greatest strength. In launching perhaps the most unique MMO experience in 2012 since the early days of MMOs, Funcom simply went too far. Romain also pointed to specific problems that he feels Secret World Legends has resolved: the possibility that the skill wheel (TSW’s replacement for levels and classes) let players advance with non-viable or underpowered builds, the visual complexity of the interface, not enough hand-holding at the beginning, and more issues and resolutions we’ll explore throughout this preview. As for the business difficulties that led to the relaunch, Romain traces that to trying to sell the game’s core strength – its story – through episodic DLC “Issues” which extended the story at endgame. On top of a subscription, this primarily resulted in many of TSW’s players balking at the cost and never seeing some of the game’s best content. To be fair to Funcom, The Secret World arrived at an awkward time in the marketplace. In 2012, free-to-play was just gaining credibility with developers, publishers, and players in the AAA space, and the concept of providing the core game concept for free (and making money on the periphery with consumables and cosmetics) still seemed counter-intuitive. Funcom attempted to pivot - creating a fashion-heavy item store– but its release momentum was, by that point, spent. The subsequent “Issues” felt more like MMO Golden Age expansions rather than inexpensive episodic content. This time around, Romain explained that none of the story is, or will ever be, behind a paywall. On day one, every player can experience all the story The Secret World had to offer (that is, apart from Tokyo, which will be released as free-to-play “Season 1” content later this summer). Secret World Legends will retain the premium “Aurum” currency, used for the most popular clothing (which can now be bought directly from the “Dressing Room” interface, though some items will still have to be earned with achievement), pets, and custom “sprints” (fast movement animations and mounts). But Aurum isn’t a just a real currency conversion: players can trade Marks of Favour (currency earned by playing the game) for Aurum at an auction-house in the newly revamped Agartha, the beehive-like hub area of the game. The game will also have the dreaded “lockboxes” – pay-to-open containers earned in game – but Romain explained that Funcom has softened the blow in a couple ways. 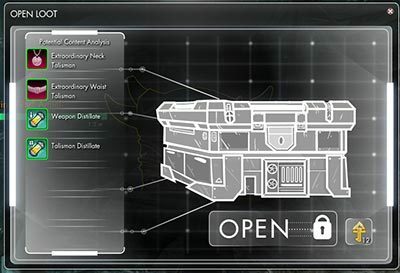 These lockboxes do contain vanity items based around a theme but are primarily opened to gain experience for gear and weapons. Players uninterested in min-maxing quickly can opt to sell them as vendor trash, gaining anima shards to eventually accomplish the same purpose. Also for players who aren’t averse to paying for greater convenience and less time spent grinding, “Patronage” subscriptions will offer a number of bonuses, most importantly to experience gain and anima shard gathering (anima shards being used to increase the power of weapons in the process of sacrificing lesser weapons to empower them). Patronage also allows you to teleport to any anima well in the playfield without spending anima shards, and will include ramped up versions of the daily login rewards available to all players. Long before you have to make any monetary decisions –as soon as you roll your new character, actually - you’ll notice that the game has changed considerably. Faction choice (while still present and important for flavor, faction ranks, and endgame faction missions), has been de-emphasized considerably at the start of the game. Gone are the appearance-changing sliders in favor of pleasing but unique thumbnail choices. “If you choose an ugly character, we want it to be because you chose it,” Romain quipped. Each weapon now has its own bonus mechanic – pistols have different colored bullets, for example, and extra damage is dealt when a player fires the same color bullet from both guns. Romain added that eventually you’ll be able to unlock all weapons for any character using Marks of Favour (an earned, non-premium currenct), and that previously active The Secret World players will start with all weapons unlocked. 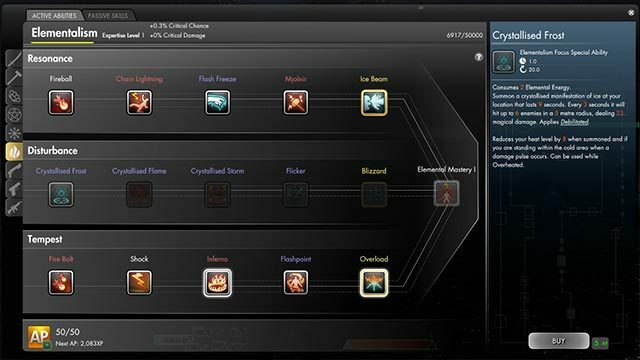 But unlocking all the skills for each weapon will prevent you from attaining mastery in any given weapon quickly, since the capstone abilities for each weapon are very expensive in terms of AP. Speaking of weapon abilities, the previous skill wheel – a thing of terrible beauty – has been flattened. “With the skill wheel, you could really screw yourself. It was very overwhelming, but powerful. We wanted to keep that power, but remove this aspect of ‘I don’t know what to pick next and I’m scared.’” Romain explained that another problem with the previous incarnation of the skill weel was that many abilities were either copycats or were never used by players, being just stepping stones toward elite abilties. In place of the skill wheel are three layers of unlockable abilities per weapon. Romain explained that the top layer tends to be for soloing, the second layer is weapon specialization, and the third layer is primarily group oriented. Each weapon also preserves passive (circle icon, these are always in effect) and equipped passive abilties (square icon, these passive abilities must be chosen up to a maximum of five). As in The Secret World, every player can unlock everything and complete everything with their main character. If that’s the case, what’s the incentive to re-roll? Romain explained that many players do so for faction and gender flavor, but another good reason is that some story choices are permanent. Players want to see where making different important choices takes them. Another level of specialization not present in The Secret World is a unique kind of passive gear specialization available at endgame. “As an example, with Elementalism, your character gains heat with every fire and electical ability you use. This does more and more damage until you overheat and are silenced for a short time, so you want to use cold abilities to regulate your temperature. But say you equip a talisman that changes your cold abilties so that instead of reducing your temperature, it freezes your temperature at a certain spot. Now you’ll want to use a cold ability right at the peak, then use all your major damage abilities at that point.” These enhancements promise to be some of the most sought-after high level drops in the game. “The elephant in the room is reticule combat,” Romain explained, noting that many players who were at first upset by the change have come to accept and even prefer it, but have asked for different reticule shapes, camera angles, etc. The move also opens up new control schemes, such as playing primarily with a controller, though Funcom is staying quiet on whether a console port is currently in the works. The reticule took at little getting used to for me, being mostly used to cone or tab targeting, but after 15 minutes or so I had it down. After practicing a bit on some trash mobs, Romain and I played through the classic Kingsmouth Revenant mission together. One important outcome of this approach is that Funcom reduced the “playfield caps” – the number of players in a given zone. This reduces competition and wait time for important mobs and events, and allows Funcom to funnel players with similar goals together more easily. This doesn’t mean you’ll be isolated – you’ll just have fewer players in the same instance, and players on your friends list will always have priority to load into the same instance. Secret World Legends will have a greater variety of group content than the original game. For solo or duos, scenarios – 10-15 min encounters that spawn a random positive and negative event each time (for example, maybe the survivors you’re protecting have guns and fight with you, but maybe an extra boss randomly spawns during the encounter) and dungeons have returned from The Secret World. Scenarios are a great way to get Glyphs – stat-boosters that socket into your gear. Story dungeons (for 3 players) now have a much lower difficulty level and offer an efficient way to upgrade your gear – the goal for Funcom being to get players playing together without worrying about underachieving. At level 50 comes “proper” endgame dungeons, where players must work together closely but can now choose the difficulty level and level scale of the dungeon encounter, with higher levels offering better rewards. All dungeons are accessible through the game’s dungeon finder. Players will never be locked out of dungeons, but are locked in terms of the amount of dungeon chests you can open per day. If you use up your daily allotment of keys, you can choose to buy more keys with Marks of Favour. Also revamped in Secret World Legends are Lairs – open world level 50 boss camps that require a number of players to defeat. I was happy to hear that this was a fun throwback to Romain’s EverQuest days, though younger players will probably associate this with world bosses in Guild Wars 2. These bosses drop summoning fragments much more frequently than in The Secret World. These fragments summon a named boss that drops runes – like glyphs but with additional passive abilities. By summoning even harder bosses and collecting additional summoning fragments, players can eventually get a key to unlock a special raid portal in Agartha. Requiring 40-50 players, these public raid bosses won’t be the toughest content in the game – that honor is reserved for standard coordinated endgame raids – but aren’t currently in testing. Secret World Legends will be released on the Funcom store on June 26th, 2017. Steam Early Access release will go live on June 23rd with full release on July 31st. Our thanks to Romain Amiel and his team for their informative tour of Secret World Legends.